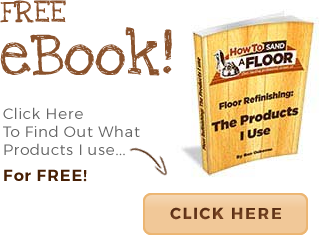 Should you sand your own floor or hire a professional? For anyone renovating or redecorating their home, deciding which tasks to take on themselves and which to hire a professional for can be difficult. Cost is often the driving factor but there are many other things to take into consideration; level of skill required to carry out any given task, access to tools/materials, having the time to do it or simply whether or not you have the basic know-how. Floor sanding and restoration is no different. I am obviously here to empower you, encourage you and give you the know -how to sand and restore your floor back to its original splendour. But you must take all things into account. As a professional floor sander, the satisfaction I feel when putting down the final coat of lacquer hasn’t gotten old. 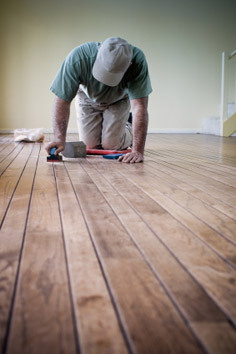 I can assure you sanding your own floor will probably give you twice the satisfaction, as you can relive it every time your friends and family compliment your beautiful wood floor. 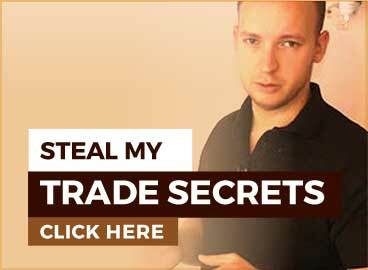 I take great pride in my work and my customers satisfaction but unfortunately there are companies out there that are only interested in getting in, cutting corners, using cheap products, doing it as quickly as possible and getting out. I have had the displeasure of working with some of these companies. Generally speaking though, most will do a good job, in a time effective and cost efficient way… Relatively speaking! Depending on the size of your floor, you will pay probably a quarter of the price of hiring a professional, and as the floor increases in size, the money you save increases. With a bit of shopping around and comparing prices you will find there is easy access to sanding tools and finishing materials. A word of warning: Try to not skimp on the tools you hire and lacquers or oils you may use! I know budgets are important, but 5 minutes of using a cheap drum sander and you may give up and call a professional. And 2 years down the line when your finish is wearing out or delaminating, you’ll wish you spent that little extra. It has taken years to become a competent, confident floor sander that can take on any floor and know exactly how to tackle it and how to deal with any problems that may arise. And this is what I wish to impart to you with this website. I will be as thorough and comprehensive as I can. There will be a page to help you with anything you may encounter. e.g.. how to sand pine floor boards, how to sand a basket formation mosaic parquet floor, how to fill knotts. Any problem you may have we will endeavour to help. If we don’t cover your particular problem, let us know! Take it on!! You will have great pleasure in the process and the end result will make you happy every time you look at it. Also there’s an invaluable comfort gain from having put your own hard work into your home, making it your own and being proud of it. Why not post your project on HowToSandaFloor.com! Very soon you will be able to post your progress pictures, get help from the DIY flooring community and be an example to anyone considering renovating their own floor! I just wanted to say thank you! My husband and I just moved into a new house. Apparently, the people that lived here before tried to refinish the hardwoods floors themselves…did not end well. Somehow there seems to be poly stripping off of the floor all on its own. I looked down at my hardwood floors a few days ago and saw what I thought was clear tape sticking up on the floor…only it wasn’t tape. I’m thinking we have a job to do. Can you help walk us through our refinishing job? I think we have maple hardwoods. They are very thin ( width wise) hard wood strips, my hubby calls them 1 x 1/2, I guess they no longer install our type of hardwoods. We live in the US, if that makes any difference. Thanks for your comment! The reason why the lacquer is delaminating is because it has not bonded well to the previous finish. Theres a few different reasons this maybe happening, or a mixture of reasons. As I explain in my video “how to refinish a floor without sanding”, sometimes different finishing products just don’t bind well with each other. For example, waterbased polyurethane lacquer often delaminates from floors that were previously finished with hardwax oil (something I see a lot in the UK). If you lacquer a floor with waterbased lacquer brand #1 on a floor that was origionally finished with waterbased lacquer brand #2, then that can cause delamination, especially if they didn’t key the floor with 120 grit sandpaper. Ben, I’d like to try and refinish my hardwood floors myself. My biggest fear though is this happening to my floor after all my hard work. How will I determine weather to use lacquer or oil? Your scaring me even worse in this answer saying even if i know its a water based lacquer but use a different brand it may still cause delamination? I assumed if i sanded the floor and took off the old finish it wouldn’t affect my new finish. I live on a small lake in a four season latitude. I have a t&g oak floor that has gapped out over it’s 15 year life. I am going to refinish the floor and am looking for advice whether or not to fill the gaps before top coating. If so, what is the recommended process to fill in the gaps? I am looking to refinish about 600ft of hardwoods, I have access to a silverline sl8, I practiced on a wooden table, any tips or advice? Not about that specific tool. But I googled it, looks fairly standard. I hope it goes well! Great info!! What is the typical cost involved in hiring a professional?